We are holding a special second collection this weekend, October 6-7, to support the important work of Cor Unum in light of the recent disaster in Lawrence. In Lawrence, MA, thousands of our brothers and sisters suffer from hunger. The combination of economic poverty and an unusually expensive housing market leaves many people in Lawrence without enough money to adequately feed themselves. The majority of those who are hungry are members of families who work and do not earn enough income to pay for both housing and food. Cor Unum serves nutritious meals seven days a week to hungry people in Lawrence and welcomes and serves all who are in need with dignity, love and respect. 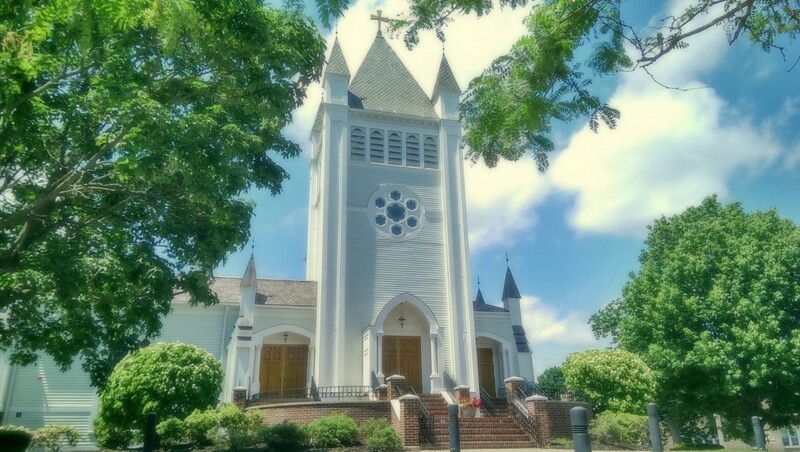 Cor Unum was seriously impacted by the recent tragic events in Lawrence. It lost electricity for a few days, and then went several weeks without gas for cooking. In the interim, Cor Unum was able to provide “to go” bags during regular meal service hours to ensure that no person went hungry. Cor Unum has now successfully converted to propane, and is once again able to provide hot meals to its clients. Our donations will be used to help offset associated increased costs, as well as the costs of the considerable increase in the volume of diners due to the recent disaster. Donations can be made during the special second collection at all Masses on the weekend of October 6-7. 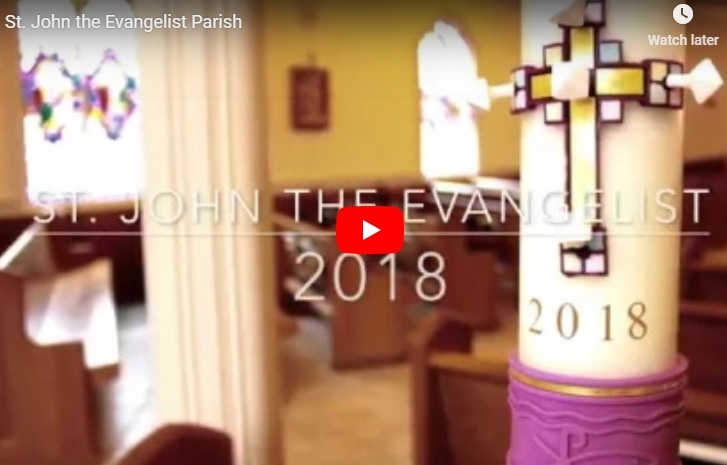 Please make checks payable to your parish (St. John Parish or St. Paul Parish), noting “Cor Unum” in the memo; we will total funds received from all sources and present one check to Cor Unum. Checks may also be mailed to the Collaborative Business Office (39 Washington St. Wellesley, MA 02481) or dropped at either parish office during business hours. Donations can also be made online using WeShare. Anyone can make a secure, one-time donation using a credit/debit card or online check – no need to set up an account! The greatest gift we offer our children when they enter our home is the sense of security and hope that once again they are a part of a family. A family that promises them they will never have to go back to where they have come from whether it be living on the streets, going days without food, never stepping inside a school, never seeing a doctor, never having shoes to put on their feet, or the fear of where they will end up after losing their parents. A family that provides the comfort of knowing they will always have food, shelter, clothing, healthcare, and an education. A family that loves them unconditionally and strives to instill the importance of forgiveness, strength, hard work and perseverance so that they will not live in the past but strive to change their future. This promise is evident at each and every one of our homes. There is a moment as each child settles into the home where if you watch closely, you can witness this transformation and see them smile from their eyes. It is in this moment, you know the child has found hope. This feeling of security was significantly impacted on September 9th when the earthquake hit Mexico resulting in over 5 million dollars in damages to our NPH Mexico home that threatened the core of our programs. During a time when so many significant global disasters were occurring, our NPH home feared it would be years before being able to identify the funding to rebuild and return that sense of security back to our children while meeting their daily needs. It was in that moment, the mission of NPH came to life by the outpouring of support from our greater NPH family network of supporters, who returned that sense of hope, security, and sense of unconditional love. We cannot begin to thank the St. John – St. Paul Collaborative community enough for ensuring our children have hope. 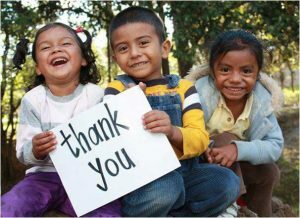 We are touched beyond words with your $20,011.00 of financial support to our NPH Mexico children. On behalf of our children, thank you from the bottom of our heart. We thank you for your support, it is appreciated and will make a difference in the children’s lives. 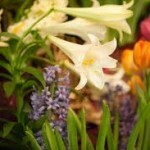 For more information, please visit our Lenten Gift page. 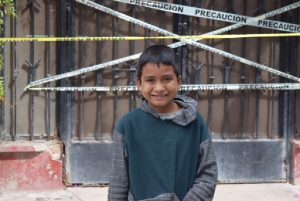 February 26, 2018 – Mexico: Hipólito is a 9-year-old boy studying 3rd grade. September 19, 2017, will be a day he will never forget. “That afternoon we were all very still, we already knew that something serious had happened. 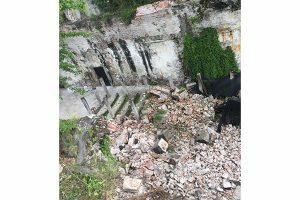 My friends and I only heard that the old chapel was badly damaged, and also the schools and the dining hall. Our caregivers explained to us what had just happened and tried to make sure everyone was calm, because there were some children who were crying. They were nervous or maybe scared, I guess. I remember there was no electricity that night and the whole hacienda (home) was very dark. Since our dormitories weren’t safe to sleep in, we all slept together outside so we would not be afraid, and some of us had candles. Starting that day, school was suspended for a few weeks. The teachers were at the home to carry out activities with the children to distract them. The psychologists gave support workshops to all the kids so that they could express their feelings, and they gave them reading materials and did relaxation exercises. The dining hall and kitchen had to be closed. We created a temporary dining hall and kitchen under large tents in the main courtyard. After a few weeks, classes resumed under tarps with blackboards hanging on the sides. “At the beginning, we liked having classes there, it was something different. But after a while we got bored, it was hot even under the tarps. Besides, since everyone passed by, it was easier to be distracted and to start chatting with friends,” says Hipólito of his experience in outdoors classes. 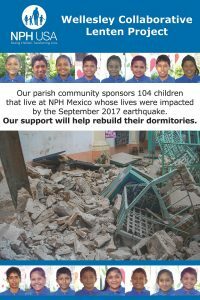 NPH Mexico has taken big steps since the earthquake—thanks to generous donors—to help the children return to their classrooms. 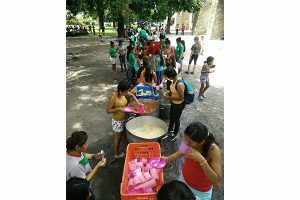 There is still a great need to repair the dining hall and kitchen as more than 400 children continue to eat outside. Some of the children’s dormitories still need repairs, and many other structural issues to our home still need to be addressed. For the time being, we will continue rebuilding our facilities so that our children enjoy their days with dignity, and above all, in safe spaces. The Collection for our Lenten gift will be taken up at all Masses next weekend March 17 & 18. As we embrace the three-fold Lenten discipline of prayer, fasting, and almsgiving, we invite you to participate in this outreach to our little brothers and sisters in Miacatlán. 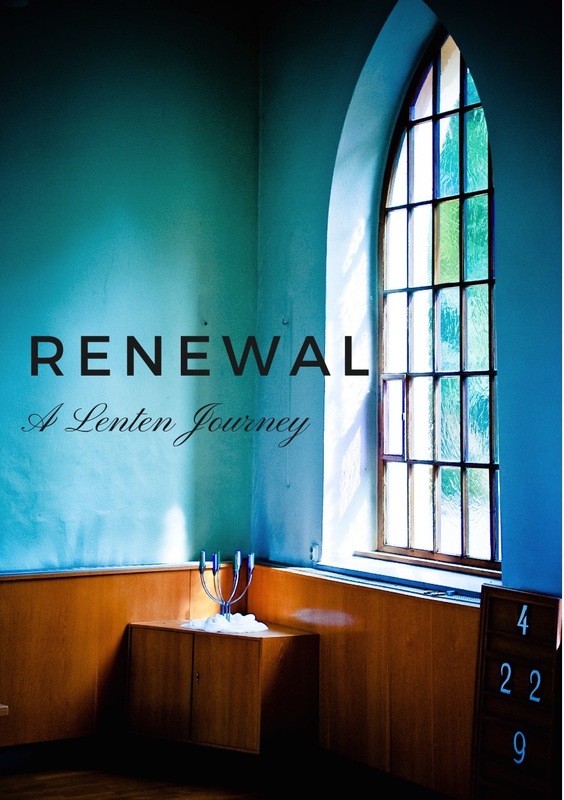 For more information, please visit our Lenten Gift page. 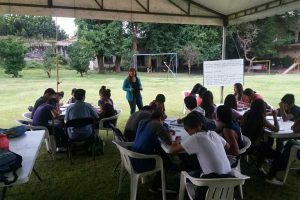 Last week, we identified the rebuilding of the boys’ and girls’ dormitories at the NPH facility in Miacatlan, Mexico as the project to which we would dedicate this year’s Lenten gift from the Saint John-Saint Paul Collaborative. As in all of the homes sponsored by NPH, the children being cared for in Miacatlan have had tough childhoods. 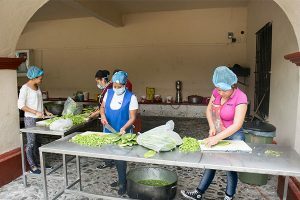 Many have lived in dangerous or unsanitary conditions, begged or scavenged for food, suffered abuse, or had no stable family life, and have lacked proper nutrition and health care. Imagine how thrilled each of these children must have felt when brought to the loving and familial atmosphere of Casa San Salvador in Miacatlan, which is 77 miles southwest of Mexico City. The Casa is an old converted sugar plantation and serves more than 400 children. Always bustling with activity, its facilities are extensive and offer a small town feel. The home features girls’ and boys’ dormitories, a healthcare clinic, a primary school, a kitchen, a cafeteria, athletic facilities, a library, and a chapel. This wonderful environment has been compromised by the 7.1 magnitude earthquake of last September. 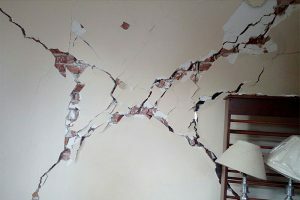 In the middle school boys’ dormitory, there are serious cracks needing repair before it is safe for them to return. Currently, 160 boys are living in another dormitory in a space only fit for 80. The girls’ dormitory needs repair to its sewage system before the rainy season begins. During significantly rainy days, eight inches of rain have been building up outside of their dormitory, resulting in over an inch of water coming into their rooms. There are so many needy causes that need attention today that we had no shortage of opportunities from which to choose a recipient. 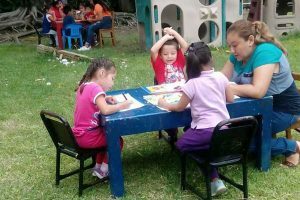 However, the Service Commission chose NPH in Miacatlan both to have an immediate impact for good and also to further the relationship begun last year that has resulted in so many families in the Collaborative sponsoring a young boy or girl. As we embrace the three-fold Lenten discipline of prayer, fasting, and almsgiving, we invite you to participate in this outreach to our little brothers and sisters in Miacatlan. Over the fall of 2017, our Collaborative heard much about Nuestros Pequeños Hermanos, (NPH), as we had visitors from NPH Guatemala. 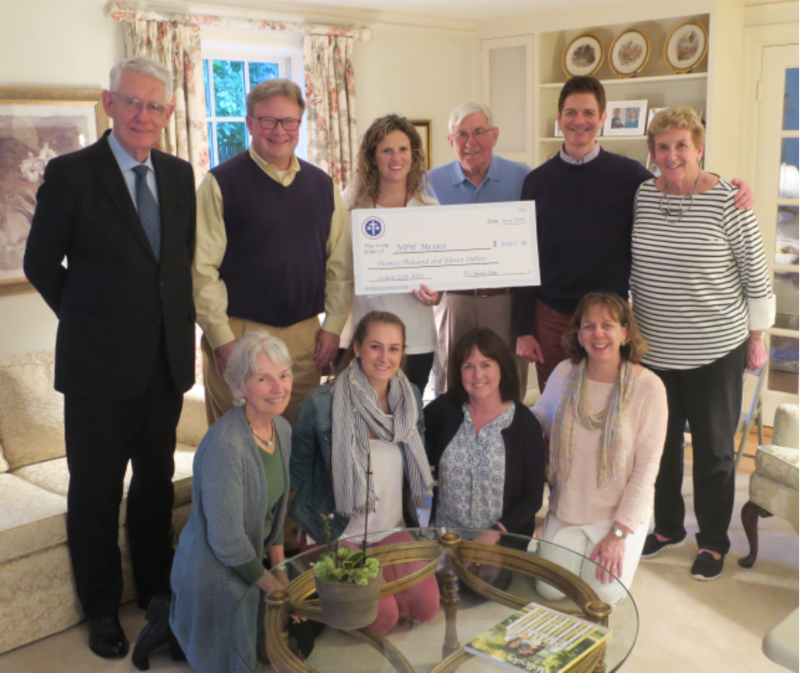 Many families hosted our NPH friends, and even more families signed up to sponsor children. This year, the St. John-St. Paul Collaborative has selected NPH Mexico for our 2018 Lenten gift. On September 19, a devastating 7.1-magnitude earthquake struck Central Mexico. 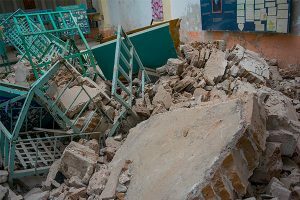 The earthquake struck very close to NPH’s homes and schools in Miacatlán. Thankfully, none of children, volunteers or staff were harmed, but estimates of the damage to their facilities were significant. Specifically, we will be contributing towards the rebuilding of the boys and girls dormitories. We hope to help NPH Mexico restore its facilities so they can continue their mission of transforming young people’s lives. In 1954, more than six decades ago, in Cuernavaca, Mexico a young and hungry boy stole money from a church collection box in order to purchase food. He was arrested and due to receive a harsh sentence for his crime. However, the newly ordained priest of the church, Father William B. Wasson, asked the court to show mercy. He requested custody of the boy so that he could provide for the boy’s needs, and the judge accepted. 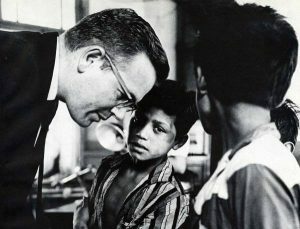 Throughout that year, Father Wasson received 32 more boys, and Nuestros Pequeños Hermanos was born. Since then, NPH has been transforming the lives of thousands of orphaned, abandoned and disadvantaged children. One of the unique features of NPH is that when they accept one child into the home, they take all siblings so that the sense of family continues. It is not considered an orphanage; it is more like a large family. NPH provides a safe home and a loving forever family that offers security, vital nutrition, comprehensive healthcare, an education, and vocational training to break the intergenerational cycle of poverty. 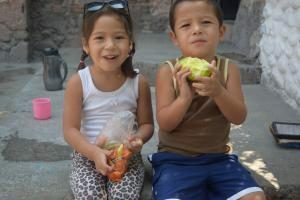 Currently, there are over 3,200 children in nine NPH homes in Latin American countries. Posted on October 23, 2017 | Comments Off on Thank You from NPH! Thank you to the whole St. John-St. Paul Collaborative Community for your amazing support of NPH and the pequeños during their recent visit! We are excited to announce that our Collaborative sponsored 105 children and donated over $14,000 to NPH. A special thank you to the families of our collaborative who opened their homes to host the students and their chaperones: the Fantozzi, Gutierrez, Jones, Kehoe, Ronco/Rhind and Sullivan families. Thank you to all volunteers who helped at the sponsorship tables. Thank you to the DelVecchio family for opening their home to the whole group for a celebration at the end of the visit and to Annas Taqueria for generously donating the food. Thank you to Mimi Eldridge for volunteering to help facilitate the visit and for her tireless work to make it such a great success. Comments Off on Thank You from NPH! Posted on October 13, 2017 | Comments Off on Thank You From NPH! Thank you to the whole St. John-St. Paul Collaborative Community for your amazing support of NPH and the pequeños who visited us last weekend! To date, we have raised over $11,000 and signed up 77 total new sponsorships! This is the last weekend that the sponsorship tables will be set up, so be sure to sign up to sponsor a child today.